What if we help your muscles to grow and develop faster with electricity? What if it could reduce exercise-induced muscle damage and help you recover better from your workouts? What if it could increase your muscle strength? Well, this is why people use electrical muscle stimulation (EMS) machines. It’s an answer to all the above questions. You might want to believe, too, but are still in doubt. Electrical muscle stimulation is using an electrical current to stimulate your muscles. This can be done because your muscles naturally contract in response to electrical signals sent by your brain, and EMS machines replicate these impulses, causing muscles to contract and relax on command. The impulses that are generated by a device are delivered through electrodes on the skin near to the muscles being stimulated. The electrodes are generally pads that adhere to the skin. The impulses mimic the action potential that comes from the central nervous system, causing the muscles movement. Quick, efficient workouts: The EMS system caters to today’s busy lifestyles. In about 30 minutes, a client can get dressed, workout, and be out the door. The device works 350 different muscles. 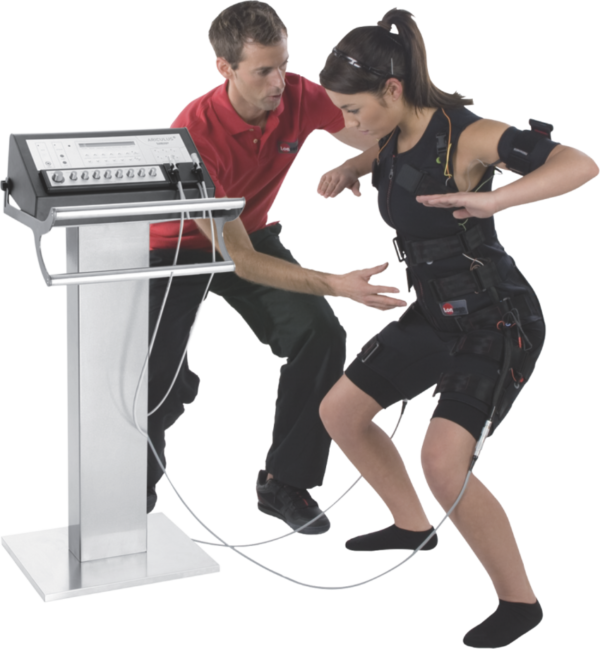 Builds muscle: During each exercise electrical current flows to the selected group of electrodes in the suit to build up muscles that require more stimulation. This is very low-risk of injury and muscle strain as the muscles are directly stimulated, the joints do not experience the same stress as they would. The improved fat-burning and weight loss capabilities. As the muscles work, metabolism increases because the cells demand increased energy. One of the key effects of electro muscle stimulation is that it also reaches and activates deeper into the muscles, for people with a muscular imbalance in the back, stomach or pelvic floor and recurring pain, this suffering is reduced with increased muscle strength in targeted areas.